April here, marathon-writing this letter for a fast upcoming fundraiser marathon. I’ll be running in a marathon in New Delhi! I’ll be participating as a Dream Team Runner, along with hundreds of others, in the Hutch Delhi Half Marathon on October 28th. Please help me to contribute to a successful third year of this important fundraising event (I may not win the race, but at least I can provide a strong finish!). As many of you know, I am President of the Giving World Foundation, a nonprofit organization that supports projects to make a positive impact for the disadvantaged in India. Giving World works in collaboration with the Concern India Foundation – major participant fundraisers in the Hutch Delhi Half Marathon (organized by Give India, a donation platform). Together we provide shelter, food, education, employment opportunities, support groups, day care, and directions toward women’s empowerment, with the goal to help the individual and communities in India to become self-reliant. Give India has identified over 100 trustworthy non-profit organizations that our funds support. Would you please be a part of this goal? Your pledge, no matter the size, will be a gift of impact, and remember that it is tax deductible (your receipt will arrive in the mail). For more information about the Giving World Foundation, visit www.givingworldfoundation.org. If you’d like to learn more about Concern India, visit www.concernindia.org, or for more information on Give India, go to www.giveindia.org. Checks may be written to Giving World Foundation by October 17th,and mailed to: The Giving World Foundation, PO Box 875, Williston, VT 05495. Please include your name, address, and email, and I will present your pledge amounts to Give India along with a lump sum check, dated October 20th. This is such short notice but for such a wonderful cause! Please join me in improving the lives of our neighbors in India. now why didn't I figure you'd wear pink tennies? I just wanted to say thanks for keeping the "feminine" side of clothing alive. 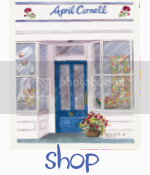 i've purchased many things from you over the years and had things purchased for me from your shop. if I could I'd buy all my clothing from you exclusively. i'm assuming you design your stuff. your designs are much like mine. keep up the beautiful work.